Welcome To Bollywood Lovers. The year 1980 is remembered for the classic Hindi film Aakrosh. We had seen films likes Qurbani, Shaan, Dostana, Ram Balram which were based on the friendship. There were some cult classics also like Thodisi Bewafai, Aasha, Insaf Ka Tarazu, Sparsh etc. Budget & Collection: The film produced in the budget of Rs. 80 Lakhs. 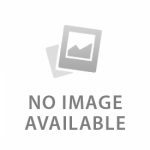 It received the moderate success at the box office and earned Rs. 1.20 Crores. Why To Watch? 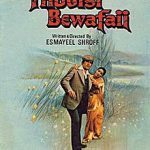 : Remarkable performance by Naseeruddin Shah and Smita Patil. Interesting Information: Winner Of National Awards In 1980’s Old Hindi Movies List. The film won the ‘Golden Peacock’ award at the International Film Festival of India. This was the debut film for Govind Nihalani. Its story was written by Marathi play writer Vijay Tendulkar. This movie is in the list of Bollywood’s top 60 films. Box Office Collection: This women-oriented film did an extraordinary business and collected an amount of Rs. 2.30 Crores. Why To Watch? : For one and only Rekha. Interesting Information: Rekha won Best Actress Filmfare Award for this film. In 1980, Rekha received Best Actress nomination for two movies Khoobsurat and Judaai. She made her Bollywood debut as a singer with this movie. It was the last hit film directed by Hrishikesh Mukherjee. The movie remade in the Bollywood in the year 2014. In the remake, Sonam Kapoor played a role of Rekha. Box Office Collection: Qurbani collected a huge amount of Rs. 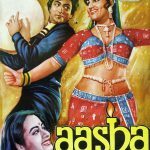 6 Crores at the domestic box office and became The Highest grossing film of the year in our old Hindi movies list 1980. Why To Watch? 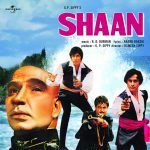 : Complete entertainer, Vinod Khanna’s one of the best films. Interesting Information: Producer Feroz Khan dedicated this to Late Shri Sanjay Gandhi. Khan had offered the role of “Amar” to legendary Amitabh Bachchan. But later on, Vinod Khanna selected for this character. Khan’s wife Sundari appeared in the song “Aap Jaisa Koi”. Box office collection: Dostana did a fantastic business and collected 4.5 Crores at the domestic box office. Why To Watch? : Amitabh Bachchan and Shatrughan Sinha. One time watch movie. Interesting Information: Amitabh Bachchan and Shatrughan Sinha both received the Filmfare nomination under the Best Actor category. It was the 1st film produced by Yash Johar under Dharma production banner. Why To Watch? : Best performance by Reena Roy. 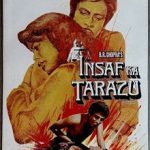 Verdict & Awards: Cult classic film in old Hindi movies list 1980. Legendary musicians Laxmikant and Pyarelal received nomination for Filmfare best music category. But they won it for Karz. Box Office Collection: Karz became the big hit. It collected an amount of Rs. 2.75 Crores at the Indian box office. Why To Watch? : For the melodious songs. 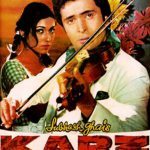 Interesting Information: This was the first film of Subhash Ghai as a producer. He produced this film under the banner of Mukta Arts. It was the musical hit of the year 1980 and Laxmikanth Pyarelal won the Filmfare Best Music Director award for their melodious composition. Why To Watch? : Mind blowing acting by Raj Babbar. Verdict & Awards: The most controversial film of the year in 1980’s old Hindi movies list. This film was released in only one cinema hall in Mumbai city. Because of the controversy, the film became the huge hit. Why To Watch? : For Dharmendra and Amitabh’s superb chemistry. Verdict & Awards: Superhit. Second highest grosser of the year. Budget & Collection: This big-budget film made in Rs. 6 Crores. The film became the average hit and it collected Rs. 12.5 Crores at the box office. Why To Watch? : Only for Kulbhushan Kharbanda. Verdict & Awards: Semi hit. The film received nomination under Best Music category. Why To Watch? : Kaka’s memorable film. Verdict & Awards: Another cult film in 1980’s old Hindi movies list. Famous South Indian actress Khushboo made her debut with this film as a child actress. Verdict & Awards: Rekha received a nomination for Best Actress. 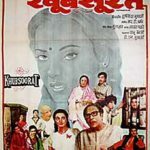 Verdict & Awards: Overseas blockbuster film in old Hindi movies list 1980. Verdict & Awards: Hit, 6th highest grosser Hindi film of the year. Interesting Information: This film did an average business in India. But after few years it became one of the classic Hindi films of all time. When this film launched Bollywood superstar Amitabh Bachchan was part of the film. But later on he was replaced with other actors. Padmini Kolhapure has sung the song “Teri Hai Zameen” for this movie.